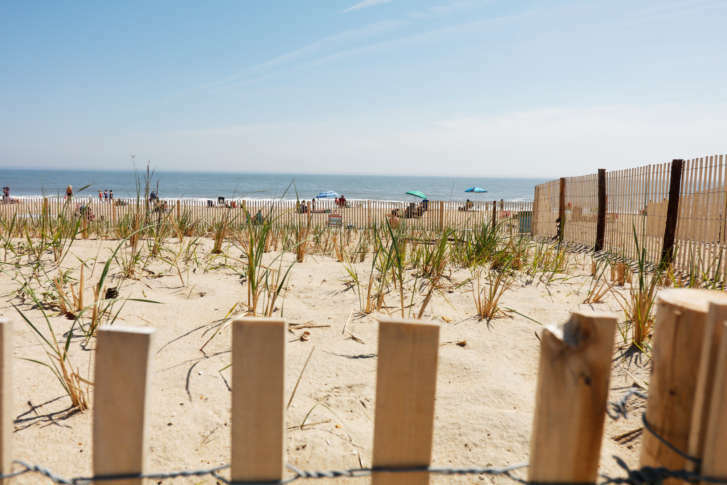 WASHINGTON — North of Bethany Beach, Delaware, is the final stretch of oceanfront destinations in the WTOP Summer Beach Guide: Dewey, Rehoboth and Lewes. The three neighboring beach towns are only separated by a few miles of land, but each maintains its own sense of place. 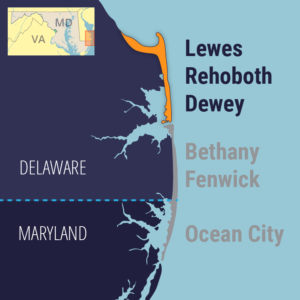 Visitors can find beach bonfires and a legendary night life scene in Dewey; Rehoboth is home to a mile-long boardwalk and some of the area’s best restaurants; and those seeking a complete escape from the hustle and bustle head to Lewes for its quiet beaches and charming, historic town. All three are home to a growing craft brewery scene. Best of all: The three towns are within a few minutes of each other by car. New additions: The 2018 beach season brings a handful of new restaurants, including Cuvee Ray Wine Bar & Restaurant, Azzurro Restaurant and The Pines Restaurant in Rehoboth. Harvest Tides Steakhouse joins Lewes, and MezCali launches in Dewey. Drink in the salt air — and the craft beer: Beer lovers will have a ball at the beach. In Rehoboth, there’s the Dogfish Head Brewpub, Revelation Craft Brewing and Big Oyster Brewery. Lewes is home to Crooked Hammock Brewery, and Dewey has the Dewey Beer Co.
Night life: Looking for a fun night out with live music and fresh-squeezed crushes? There’s no shortage of options — especially in Dewey Beach. 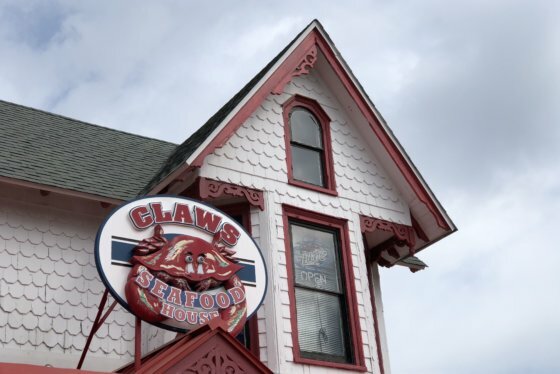 The Starboard, Rusty Rudder, The Lighthouse and Purple Parrot Grill are perhaps the most well-known haunts for evening entertainment and eats. Music lovers flock to Bottle & Cork for its nightly lineup. Wildlife and water sports: Check out free skimboard clinics Saturdays, June 17 through July 8 in Dewey Beach, or crabbing and surf-fishing options in Rehoboth. Cape Henlopen State Park in Lewes offers calm beaches, surrounded by woodlands. There’s a great bike path from the park to Rehoboth, with fishing areas along the way. Take a tour of the Delaware Breakwater Lighthouse or catch a ferry ride from Lewes to Cape May. Shopping: No beach guide for Rehoboth and Dewey is complete without a mention of outlet shopping. Tanger Outlets draws a large crowd looking to take advantage of the state’s lack of sales tax — especially on rainy days. For smaller, independent stores, head to downtown Rehoboth and downtown Lewes. Food lovers will feel right at home in the area. 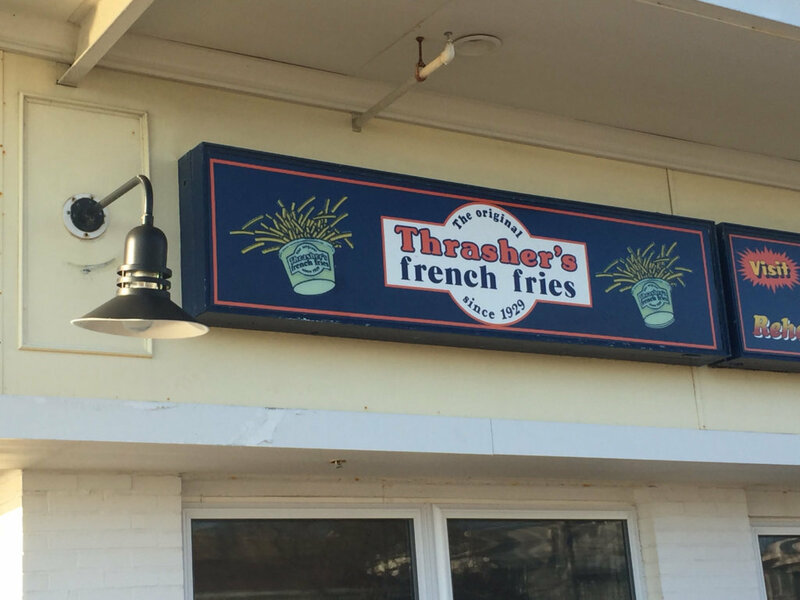 Rehoboth, alone, has more than 100 restaurants, and Lewes has its share of cute and inviting eateries. The Rehoboth Beach farmers market operates Tuesdays from 11 a.m. to 3 p.m. in the summer; the historic Lewes farmers market runs Saturdays from 8 a.m. to noon, and Wednesdays from 8 a.m. to 11 a.m. in the summer. Movies and bonfires on the beach: Dewey Beach hosts free movies on the beach Monday nights June 2 through Aug. 20, and bonfires on the beach Wednesdays, July 3 through Aug. 29. The 3rd Annual Beach Goes Red, White & Blue Event: On June 9, the Rehoboth Beach-Dewey Chamber of Commerce will celebrate Delaware’s police officers, firefighters, paramedics and military members. Entertainment and programming takes place around the Rehoboth bandstand, beginning at 11 a.m.
Fourth of July: Catch an Old Fashioned 4th and fireworks (beginning at 9 p.m.) in Lewes, and the annual Red, White & Blue 5K race in Rehoboth. Peruse the selection at Browseabout Books in Rehoboth and pick out your next beach read. Grab a cup of coffee at The Point Coffee House and Bake Shoppe. Explore Rehoboth’s Silver Lake neighborhood for a change in scenery. Walk along the lakefront and take in the views of the beautiful homes. Lefty’s: This indoor bowling alley, arcade and laser tag arena is a great hangout for adults and kids, alike. Carol Everhart, president and CEO of the Rehoboth Beach-Dewey Beach Chamber of Commerce, said metered street parking is at a premium during the summer months. She suggests taking advantage of the town’s Park and Ride shuttle, which makes stops at the outlets, the boardwalk, and Dewey and Lewes beaches. The Jolly Trolley runs throughout Dewey and Rehoboth Memorial Day through Labor Day, and visitors can purchase a parking permit at the visitor’s center for additional parking options. Two new options for accommodations are coming online for the season, including Hotel Dewey (formerly the Sea Esta III). Crosswinds Motel in downtown Rehoboth recently added rooms and amenities.